Working with our network of selected agents across Brittany we are able to bring to you a range of properties for sale, from renovation projects to chateaux, cottages to farms. If you are looking for a business we also feature properties suitable for Bed and Breakfasts, Gite Complex, Bars and Restaurants. Even before you start planning your viewing trip, we can put you in contact with mortgage advisers, and currency exchange specialists ensuring you get the best rate of exchange for your money. We also have partner links with removal companies, insurance brokers, builders, electricians, plumbers etc. All our network of agents are English speaking and all are based in Brittany having excellent knowledge of the local area. So if you are ready to start your property search, we are here to help you. Call us or email us to discuss your property requirements or browse through our extensive portfolio. 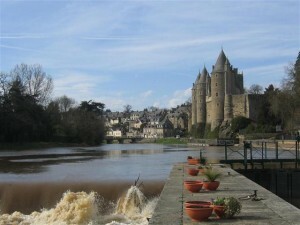 We hope that we can help you find your dream property in Brittany.